State ADEM Elections — Tomorrow! If you’re a registered Democrat, you may participate in the 2015 Assembly District Election Meetings (ADEMs) that are being held in many State Assembly Districts throughout California. These meetings are where you elect those delegates — 7 women, and 7 men — to represent us at the upcoming 2015 State Democratic Convention in Anaheim. For more thorough information, please check out the video below from the California Democratic Party. Since Clairemont is located in both the 77th and 78th Assembly Districts, both ADEM Elections are being held tomorrow (Saturday), January 10. For those club members and fellow Democrats who live in the 78th State Assembly District (represented by our Assembly Speaker Toni Atkins), there are four (4) of our club members running and they would appreciate your vote! Club members include: Curtis and Martha Page, Susan Guinn, and Rhoda Quate. Some candidates are running on slates, some are not. You do not have to vote for a slate. You can vote for whomever you wish, but we hope you will include these four club members if you vote in AD 78. For more AD 78 candidates and statements, please check out the CA Democratic Party’s website here. For those club members and fellow Democrats who live in the 77th State Assembly District, there is only one slate being put forward by a host of different Democratic clubs, and it has also been endorsed by club members Carol Kim and Ryan Trabuco. 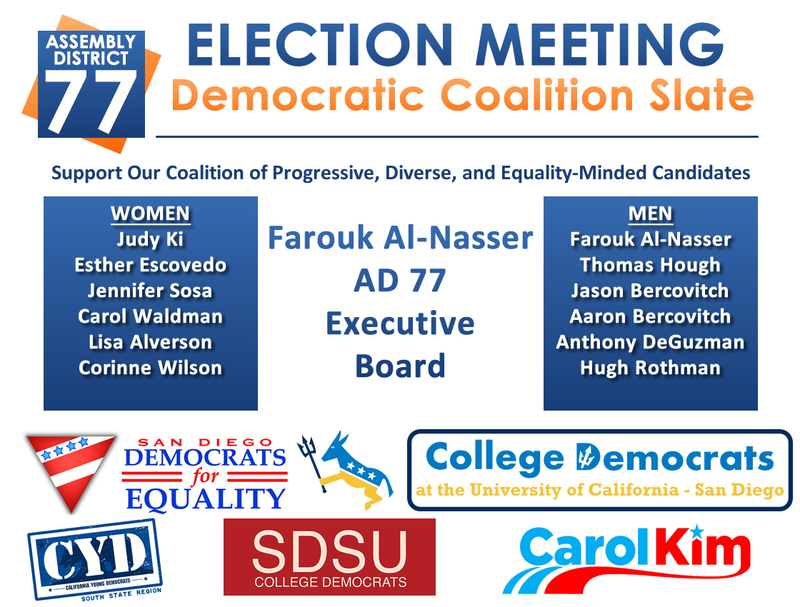 For more AD 77 candidates and statements, please check out the CA Democratic Party’s website here. If you have any further questions, please contact Dr. Jen Campbell at 858.455.0024. Now get out and vote, Democrats! 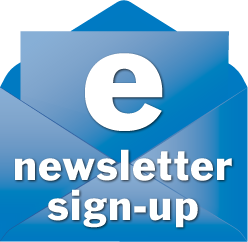 Categories: Club News | Tags: AD77, AD78, ADEM Elections, Bay Ho, Bay Park, California Democratic Party, Clairemont, Clairemont Democratic Club | Permalink.